A real medium-sized-workgroup solution, the Lexmark X560n MFP gives you outstanding print quality and lets you elevate office productivity with high-performance printing, copying, faxing and scanning. To load a second paper type or increase your input capacity, just opt for the extra 550-sheet drawer. It comes with a flexible floor stand, which gives you extra storage space too. 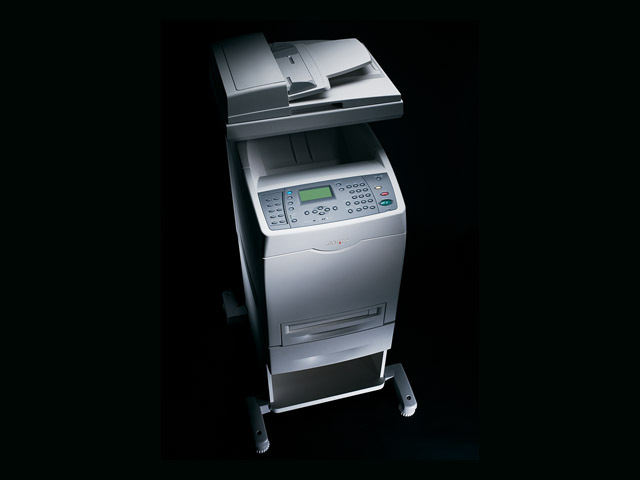 The Lexmark X560n is robust, reliable and ready to go to work. With PostScript 3 and PCL6 compatibility, it ensures perfect integration into any IT environment. Need to copy a large presentation before lunch? No problem. 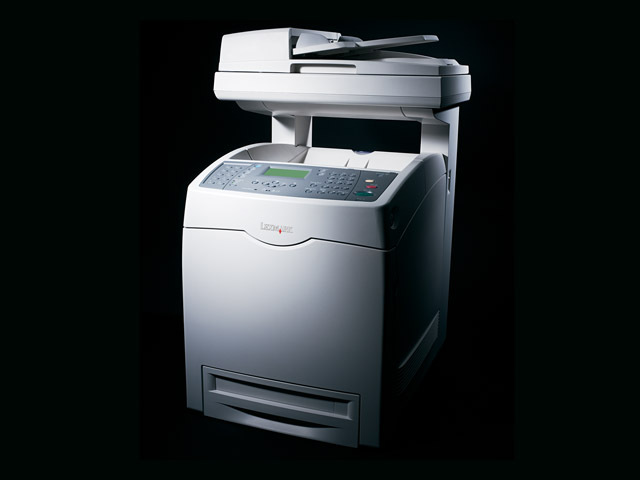 Just load the 50-page Automatic Document Feeder and zip through output as fast as 30 ppm in mono, 20 ppm in colour. 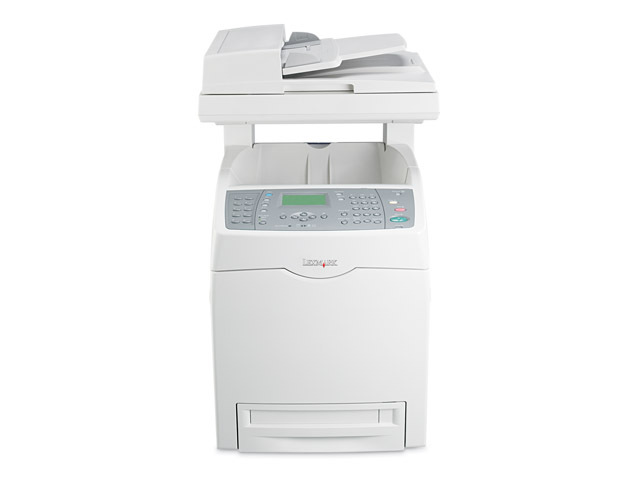 More than just fast, the X560n gives you a range of efficiency-boosting features too, like a multipurpose feeder, fax speed dials and intuitive workflow software to digitise, manage, search and edit documents with ease. A real plug-and-print solution, everything about the Lexmark X560n is straightforward and simple. The consumables are 100% front-loading, so they literally take just seconds to replace. And the operator panel offers a variety of intuitive features to simplify everyday workflow tasks. For instance, it includes a handy job-cancel button to put the brakes on print runs quickly, so you don’t waste paper. And the 4-line graphical display guides you through printing and maintenance tasks with ease. All the tools you need to maximise uptime and boost productivity! What better way to reduce costs while promoting earth-friendly practices in your business? With two-sided printing, everyone wins. Save paper, money and the environment! At Lexmark, we’re always working hard to ensure you achieve maximum productivity and minimum downtime. Our X560n MFP includes our solid service guarantee of One-year On Site Repair, with a response time of next business day (In serviceable areas). For an even greater level of peace of mind, you can opt for one of our extended-guarantee service offerings. For more information on any of these offerings, just contact your local dealer or visit us today at www.lexmark.com. Printing should be as attractive on your budget as it is on your documents. Built for demanding medium-sized workgroups, the Lexmark X560n MFP brings you a world of cost-saving benefits. By merging print, copy, fax and scan into one high-performance network device, you save considerably on office space, hardware costs, consumables, service contracts and even energy. But why stop there? Opt for the high-yield cartridges to drive down your cost per page. And add the optional duplex unit to save paper, money and the environment – all at the same time! Ethernet, USB or parallel cable is not included. Please purchase separately. **Average Continuous Black Declared Cartridge Yield up to 5,000 standard pages in accordance with ISO/IEC 19798. *Average Continuous Composite CMY Declared Cartridge Yield up to 4,000 standard pages in accordance with ISO/IEC 19798. Trays Extended (in. - H x W x D): 28.7 x 21.1 x 34.67 in.